BLACK REPUBLICAN BLOG: DOJ Taking 'Another Look' at Hillary Emails? The Daily Beast has learned that the Department of Justice is going to reopen its investigation into former Secretary of State Hillary Clinton's use of a private server. The move may appease conservative members of the House Freedom Caucus, who just today published an op-ed demanding Sessions get more aggressive, or step aside. Why have there been six different investigations into farfetched Russian collusion and little attention on Hillary's 30,000 missing emails, Reps. Mark Meadows (R-NC) and Jim Jordan (R-OH) wondered. It appears Sessions "has no control at all of the premier law enforcement agency in the world," they concluded. The Daily Beast report will likely also put a smile on President Trump's face, who has repeatedly called on the DOJ to reopen the case into Clinton's emails. Judicial Watch recently released emails proving that Clinton aide Huma Abedin forwarded State Department emails to a Yahoo account, leaving the intel vulnerableto hacking. For that, she deserves jail time, Trump tweeted. 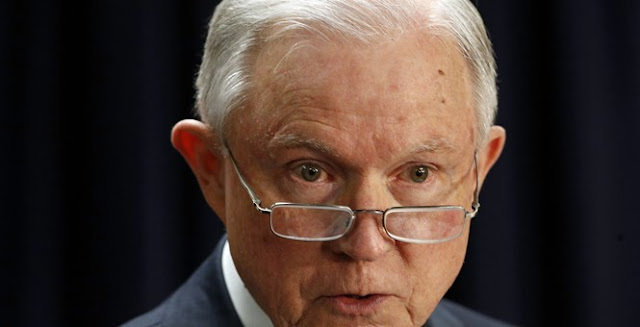 Sessions has had to earn Trump's trust after recusing himself from the Russian collusion probe and supposedly dragging his feet on the Hillary investigation. Last year, the president called his attorney general "beleaguered" on Twitter.